Announce your fairy tale wedding and impress your friends and loved ones with this elegant save the date creation featuring a timeless Victorian design. 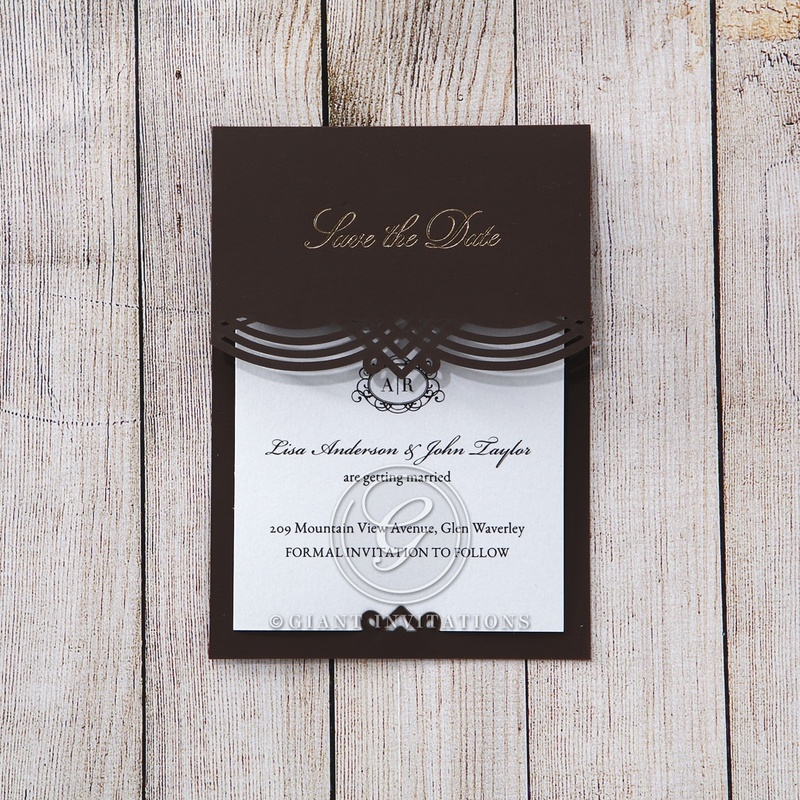 Using the finest card stock, this ensemble is created using an ebony backing frame with intricate details applied with the latest in laser cutting technology and gold foiled lettering on the flap. 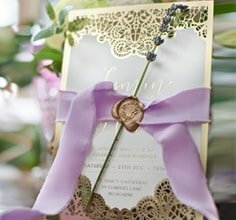 Once the mysterious flap is lifted, it reveals the date of your big day that is printed in sophisticated raised ink along with your names and details. To truly make this card an impressive work of art, ask our designer to have your names foiled at an additional cost to match the foil finish on the front. I ordered a sample of these Save the Date invites for my upcoming wedding and they arrived quite quickly and packaged beautifully. Everything looks exactly like it did on the website and the staff were very upfront and honest about costs for guest names printing and guest addresses printing. I am now coming back to order the set for my wedding and very excited to see my family's reactions to these beautiful creations.